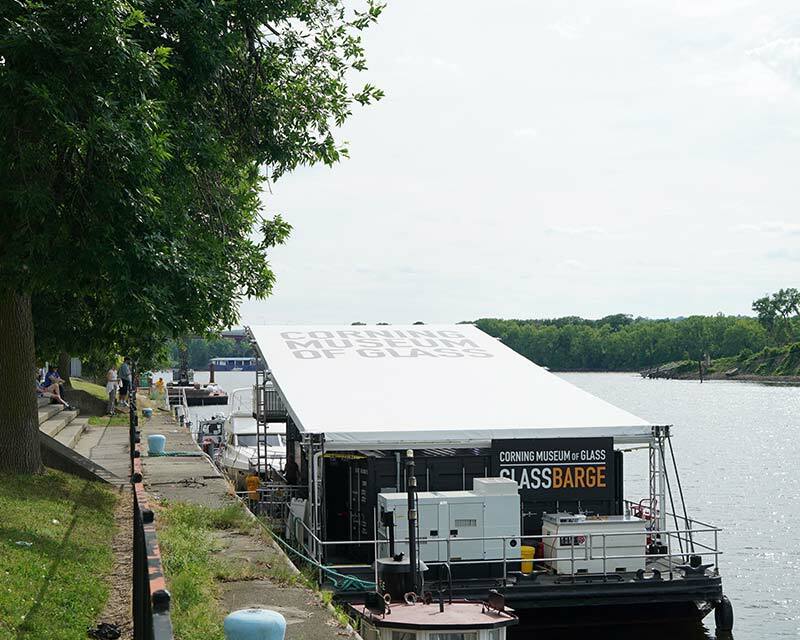 Cigar Box Studios reached out to Fred’s Tents to take on this unique print job for Corning Museum of Glass. 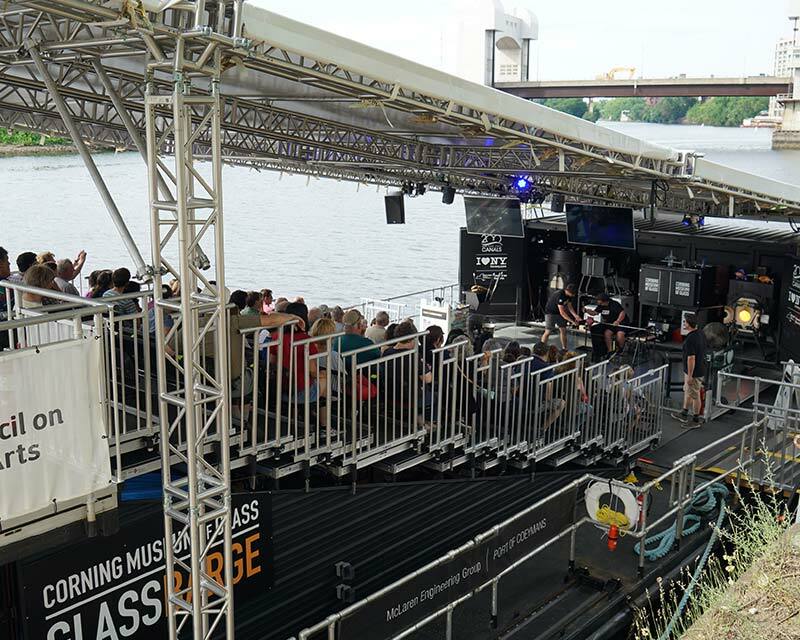 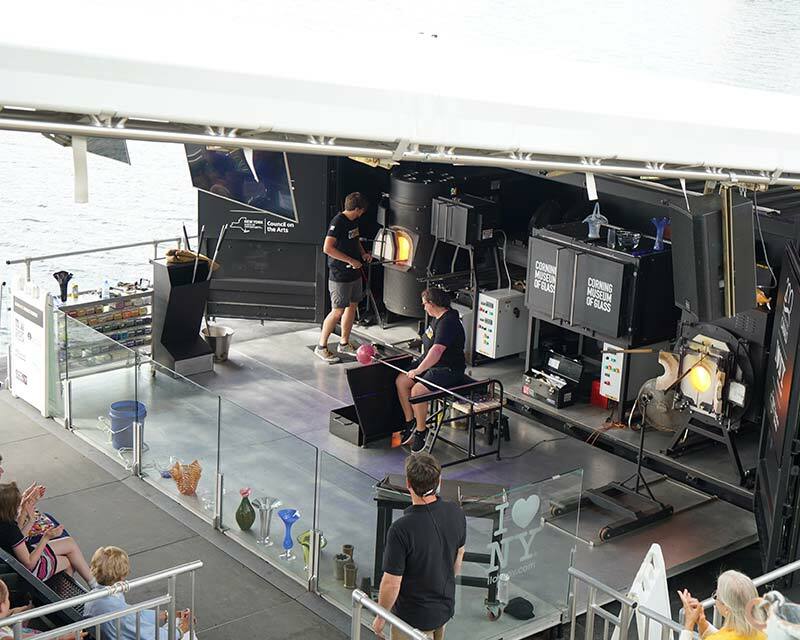 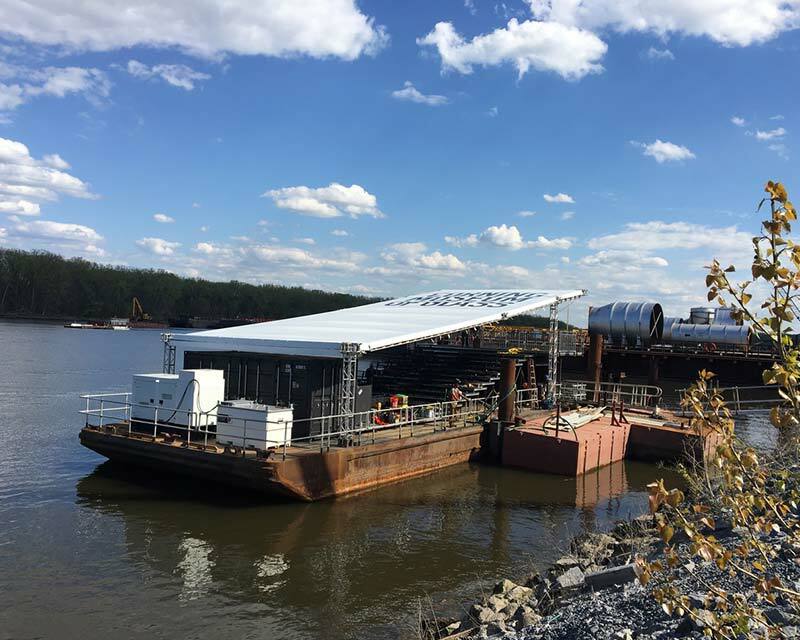 The museum decided to commemorate their 150th anniversary of glassmaking in Upstate New York with a summer-long tour of New York State’s waterways on The Glass Barge. 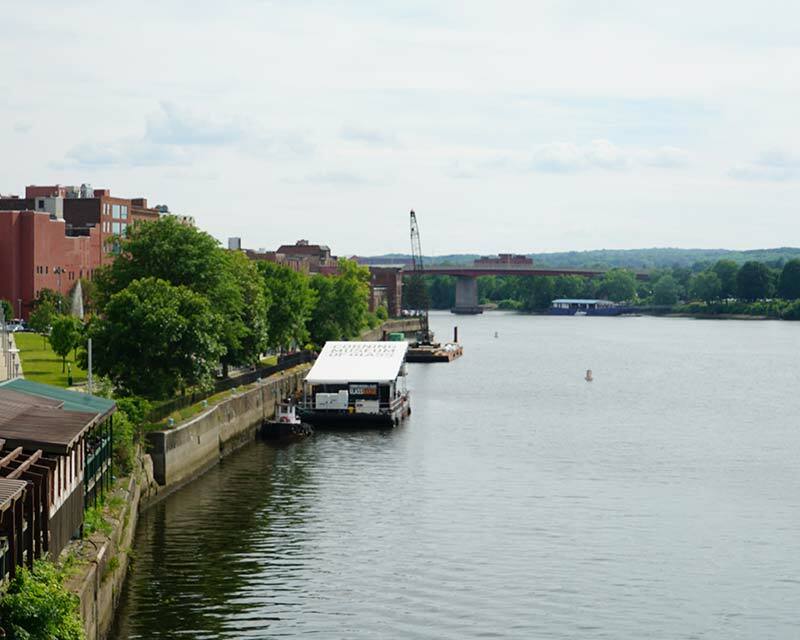 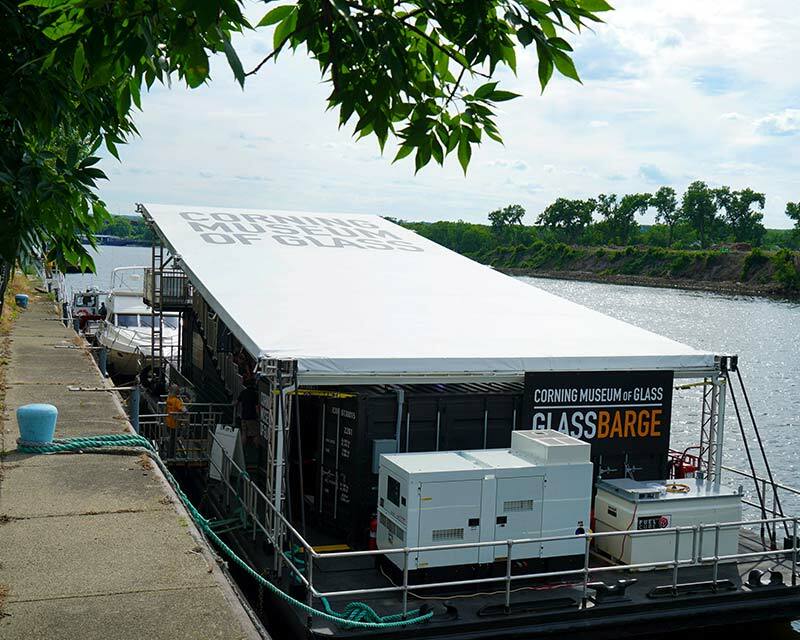 The barge traveled sharing the story of glassmaking in Corning, NY. 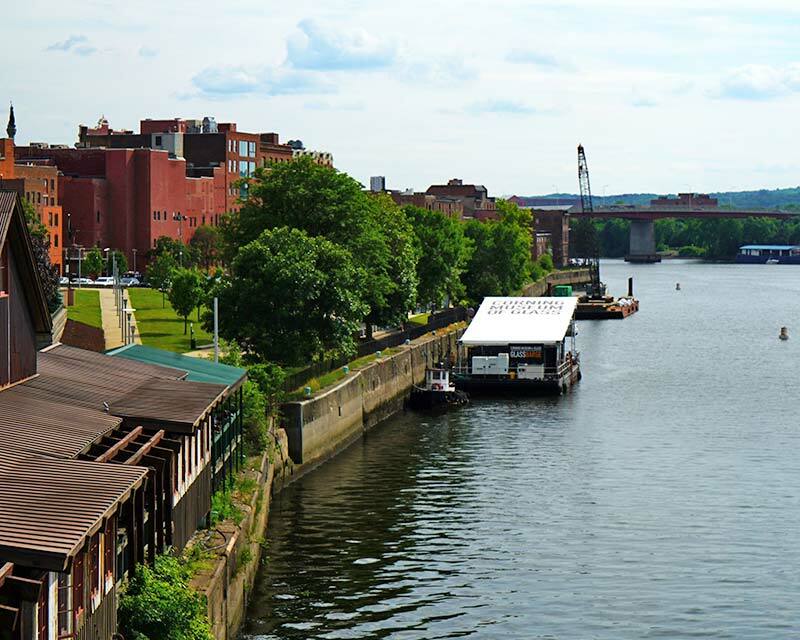 The custom rooftop of the barge really made a statement as it traveled across the state.